Therapy is one of the most proven tools in psychiatry, and will be the mainstay of your treatment at Oxford. 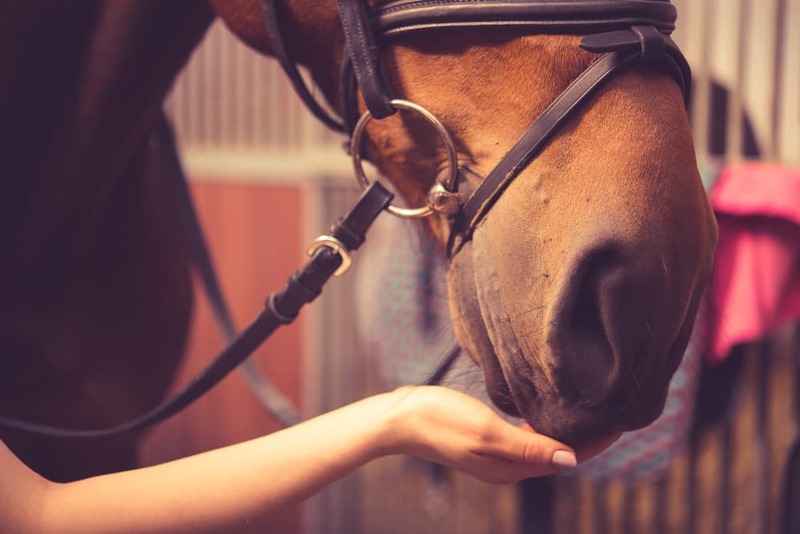 Therapy allows individuals to discuss the challenges they are facing in a secure, comforting environment, whether that be in a group, one-on-one with a therapist, or on horseback. Individual Therapy: You’ll receive at least one hour of individual therapy a week. These sessions will allow you to work one-on-one with a counselor or therapist, gathering the skillsets you’ll need in recovery and recognizing possible triggers. Group Therapy: Group therapy will be the main method of treatment during your time at Oxford. Whether you end up learning various relapse prevention skills or speaking with your peers in groups, you’ll have a secure, nonjudgmental environment to share your experiences and forge a new path towards recovery. 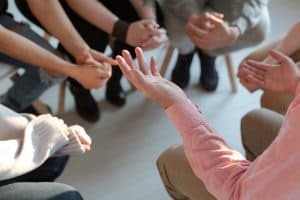 Cognitive-Behavioral Therapy: One of the most common types of therapies used in treating substance abuse disorder, Cognitive Behavioral Therapy (CBT) is offered to patients at Oxford. Designed to help individuals challenge and change harmful thoughts and belief systems, CBT can help you transition into a postive outlook on life and recovery. Family Therapy: If the patient consents, and if their therapists thinks it will be conducive to their recovery, we can also facilitate family therapy. With lecture series, therapy sessions, and Sunday visits, Oxford is dedicated to helping families and their loved ones heal the wounds caused by addiction. Recreational Therapies: Sometimes, leisure and recreation can be as therapeutic and beneficial as the traditional modes of treatment. Our recreation program is overseen by licensed therapists, and ranges from a ropes course, to hiking trails, to various equine-centric activities. Equine Therapy: One of the most popular therapies at Oxford, our Equine Therapy program will have you working firsthand with the horses. Many find solaces and connection in the animals, building mutual trust and self-confidence. While you’ll eventually be able to ride the horses, for safety concerns, the first part of the program will be focused on caring for the animal. Because of the construction of a new arena, we are able to offer this therapy year-round. Art Therapy: Art is one of the oldest forms of human communication, and has been proven to be effective during various types of psychiatric treatments. Our art therapy specialists will work with you across a variety of artistic mediums. Whether painting, drawing, or molding clay, you’ll have a unique way to express emotions and work through them towards recovery. Music Therapy: Many of the nation’s top advertisers, marketers, and artists will tell you: music communicates. So why not use music to help communicate during treatment as well? Our music therapy program will see you working with a licensed therapist to articulate past traumas and work past them, all through the medium of music. Yoga and Mindfulness: Part of a long Hindu and Buddhist tradition, yoga has entered the modern world, partially as a great way to stay in shape, but also as a tool of recovery. When coupled with mindfulness and meditation, yoga can be a calming experience used to center oneself and refocus on recovery. At Oxford, you’ll be able to work with certified yoga and mindfulness instructors, and can learn to use the methods as a way to relax and digest a long day of treatment. We also offer medication-assisted treatment (MAT) on an as-needed basis. During out MAT program, you may receive medications ranging from Vivitrol, Naltrexone, Buprenorphine, or Naloxone. The 12-Steps is one of the oldest methods of addiction treatment. While many secular alternatives have sprouted up, the generally effectiveness of abstinence-based treatment remains fairly steady. At Oxford, you will be able to participate in various 12-Step groups. When you’ve finished with residential treatment, the discharge planners will connect you with local 12-step chapters near your home so you can continue attending meetings well into your recovery.